A great way to teach signs and vocabulary for items found in the house. Flash Card set includes three language categories (American Sign Language, English and Spanish) plus one category of pictures that coincide. 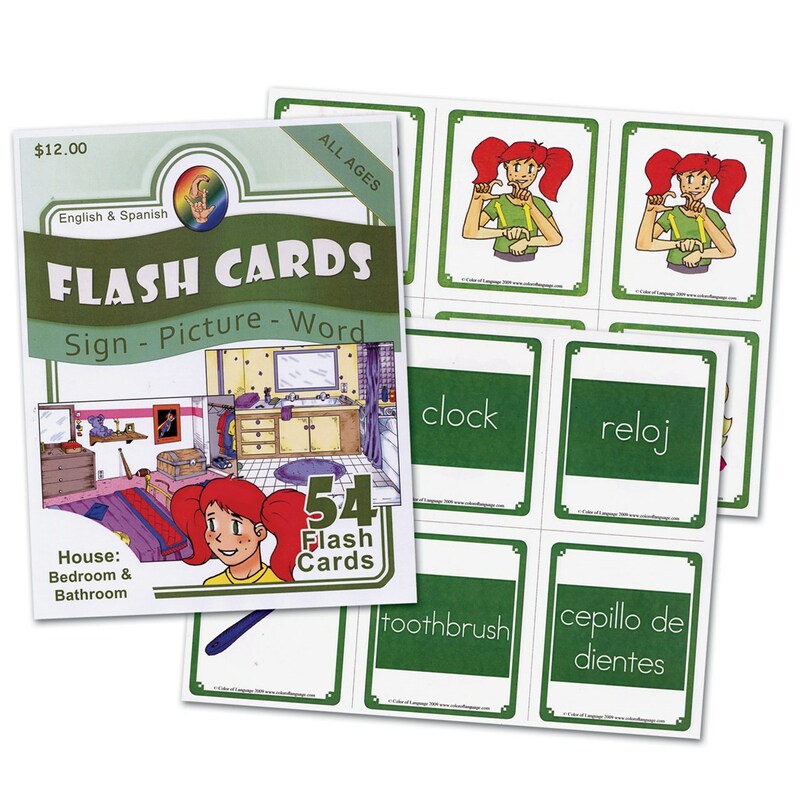 These Flash Cards cards can be used for English or Spanish or Sign Language vocabulary development. People of all ages will enjoy broadening their vocabulary. Great for use in learning centers, ASL Clubs, Sign Language classes, or with small groups of friends!